To get the most out of your website, you need a web development partner that has the technical expertise to stay at the forefront of web innovation. SDI has built over 2000 websites which incorporate cutting edge web 2.0 technologies such as Responsive Web Design (RWD), Parallax, Social Media integration, dynamic data environments, and Cloud technologies. One of the most important ways to modernise your web presence is to ensure that your site utilizes mobile-friendly design strategies. 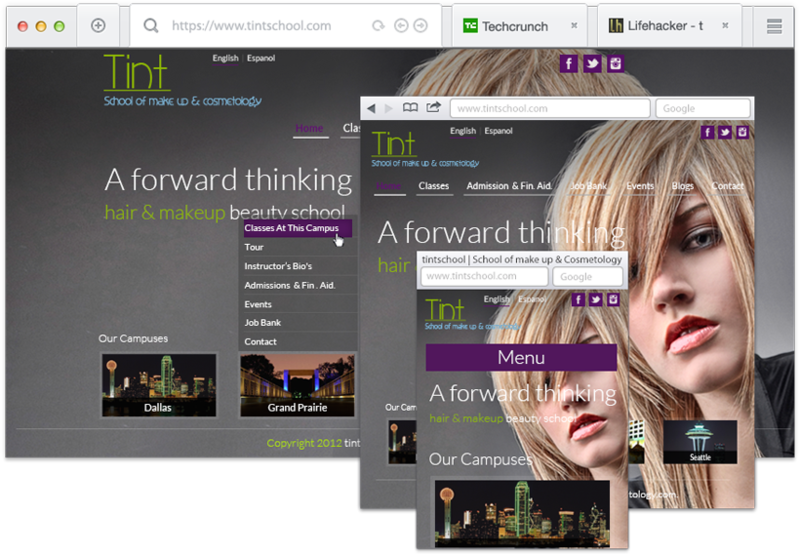 To capture mobile browsers, websites must be designed to retain their aesthetic and practical excellence on a variety of devices and screen sizes. SDI´s web development services can create responsive designs that invite users from any and all devices with intuitive layouts and stunning visuals. Years of industry background collide with fresh innovations to create the best web experiences available. Our website developers build powerful, scalable solutions which provide effective and compelling user experiences to millions around the world. Contact us now to take the first step towards building a vital new web resource.